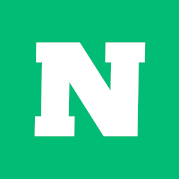 26-week online course with Nate Savage. so you can play the music you love. Guitar Technique Made Easy is a 26-week course where you’ll follow Nate Savage’s proven step-by-step process for learning the most important guitar techniques. Each week, you will have a new lesson with very specific instructions on exactly what to practice, how long to practice for, and when to mark it as complete. Unlike many other guitar programs that intentionally skip important steps to give you the illusion that you’re making progress, Guitar Technique Made Easy gives you a complete guitar foundation free of any holes or gaps so you can go on to play ANY style of music. Whether you want to focus on acoustic or electric guitar, this 26-week course will give you the skills and knowledge to pursue any genre of music. Guitar Technique Made Easy is the ONLY course on technique that will get easier to complete as you go along - making it easier to stay motivated, easier to enjoy your practice time again, and easier to actually COMPLETE the course and experience massive improvements in your playing for once and for all! With assignments for every skill level in each lesson, you’ll have everything you need to build up positive momentum and make faster progress each week no matter where your playing is at. foundation, break bad habits, and achieve total freedom on the guitar. Learn to execute perfect strumming technique, open chords, and other foundational skills. Explore the most important components of music theory that apply directly to the guitar. Hone your rhythm guitar skills by learning strumming embellishments, bar chords, 7th chords, and more. Dive into the world of lead guitar and learn hammer-ons, pull-offs, picking technique, bending, vibrato, and scales. Combine your knowledge of music theory and your new lead guitar skills to improvise beautiful solos on the guitar. Apply every skill and concept to music so you actually have fun while you make massive progress on the guitar. You’ll get immediate access to the full 26-week course to work through at your own pace -- with hand-picked exercises and detailed instructions on what to practice (and for exactly how long). Each lesson will include tips for all levels - so any guitarist can get fast results. Learn at your own pace with Nate Savage’s easy-to-follow video lessons. Get your biggest questions answered directly by Nate Savage. Even though it’s a structured 26-week course, you’ll have access for life. Get started by setting up an effective practice space so you’re ready to make the most of your practice time. Create a regimented technique practice schedule to set yourself up for maximum success. Learn some key warm-up exercises that you can use to start off each of your practice sessions. Start with the fundamentals and build perfect strumming technique from the ground up. Develop a rock-solid sense of timing by using specific exercises that target your timing problem areas. Learn the 5 most important open major chords that you’ll use for the rest of your guitar career. Tackle the most common challenge for guitarists and start nailing perfect chord transitions. Add the most important open minor chords to your toolbelt and round out your chord repertoire. Decode the foundational elements of music theory by learning how major keys work. Unlock your creativity on the guitar by learning how to utilize the constant strumming technique. Dive into the world of bar chords and learn how to use proper bar chording technique with the E major shape. Expand your knowledge of bar chords by learning how to use the A major bar chord shape. Bring it all together to execute seamless transitions between different bar chord shapes. Broaden your chord library by learning the essential minor bar chords shapes. Continue your technique journey by learning how to change between every chord shape you know. Add feel and emotion to your strumming by utilizing simple strumming embellishments. Further your music theory knowledge by gaining a full understanding of this key concept. Unlock your fretboard by learning a game-changing guitar navigation system. Invigorate your playing by learning to use more interesting and exciting chords. Learn how to use crosspicking to add movement and life to your chord progressions. Build perfect fingerpicking technique by starting with the basics and building a solid foundation. Move into the world of lead guitar and learn proper picking technique. Merge technique and music theory to learn the most important scale in music. Learn to effectively use hammer-ons and pull-offs together in your guitar playing. Unlock the secret to improvising on the guitar using a simple and iconic 5-note scale. Round out your knowledge of scales by learning the forever-useful minor pentatonic scale. Transform your playing by learning how to execute this unique and expressive technique. Combine everything you’ve learned to unlock one of the most important concepts in music. Place the last technique puzzle-piece and finally gain full freedom on the guitar! ate Savage always knew he wanted to share his love for playing the guitar with others. 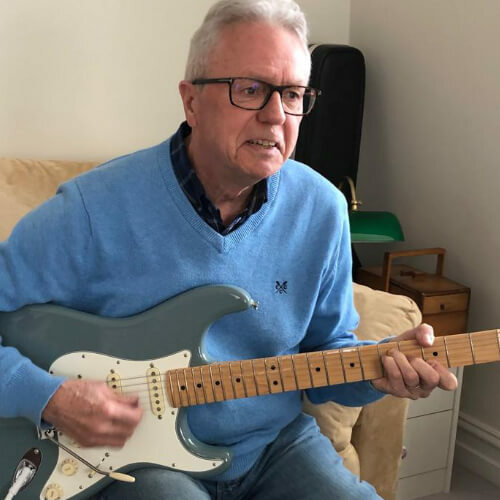 After earning his Music Degree at San Jacinto College and playing hundreds of shows across Canada, the USA, and Europe -- he wanted to find a better way to help guitarists around the world. So in 2009, he connected with Musora Media to start GuitarLessons.com -- a massive library of free online guitar lessons that has since helped more than 20 million guitar players. 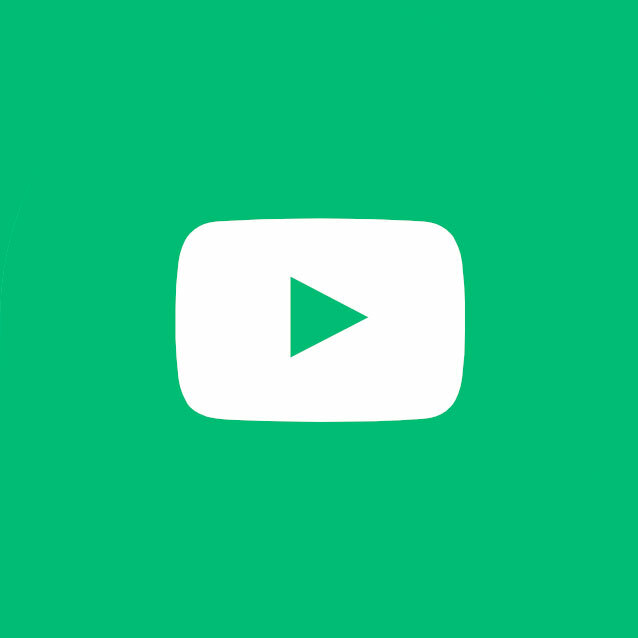 Nate’s most popular videos are built to give beginners an easier way to get started without the friction of private lessons. “8 Guitar Chords You Must Know” has reached more than 4 million views. 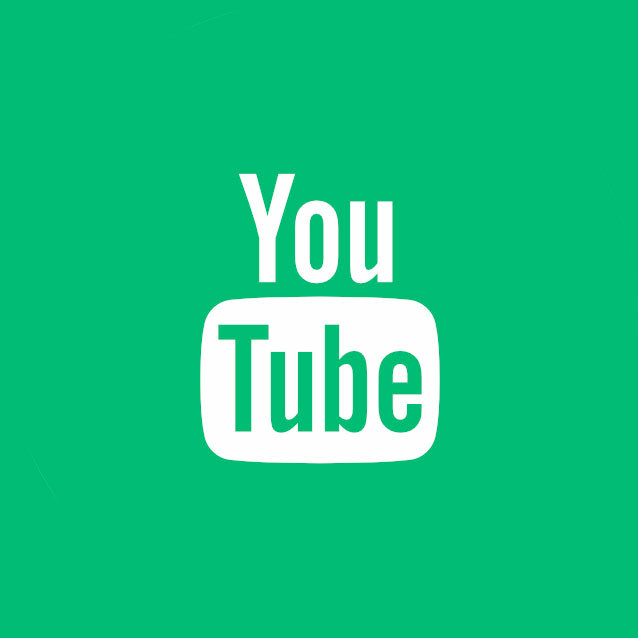 “Play 10 Songs With 4 Chords”, “5 Essential Strumming Patterns”, and “How To Hold The Guitar” are just a few other examples of videos that have been seen more by more than a million students. Through his online lessons, Nate was able to reach more guitarists than he’d ever imagined and get personal feedback from tens of thousands of YouTube comments and personal emails -- gaining a deeper understanding of where students were having issues, what obstacles were getting in the way, and what was creating the fastest breakthroughs for getting to that next level. More than anything: it comes down to better technique. 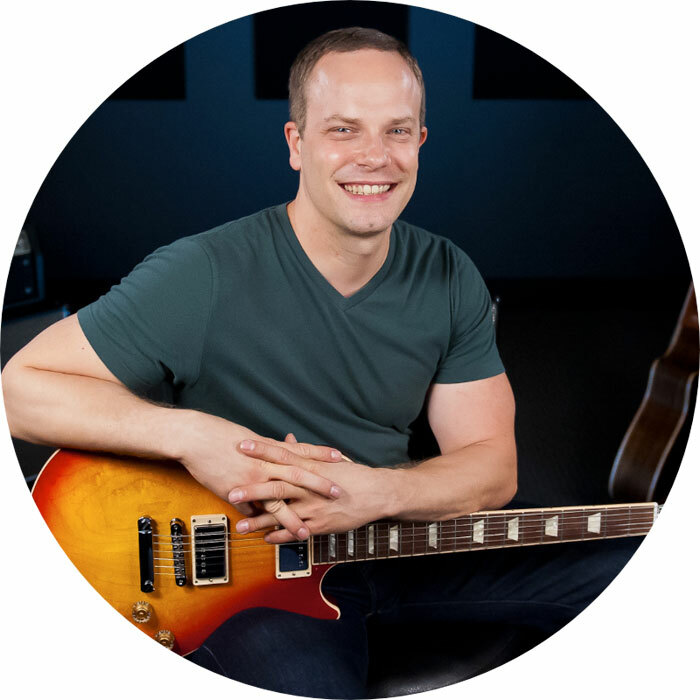 Nate has authored a best-selling DVD set called The Guitar System and leads the way for Guitareo.com, a membership site with step-by-step lessons, jam tracks, and live events. 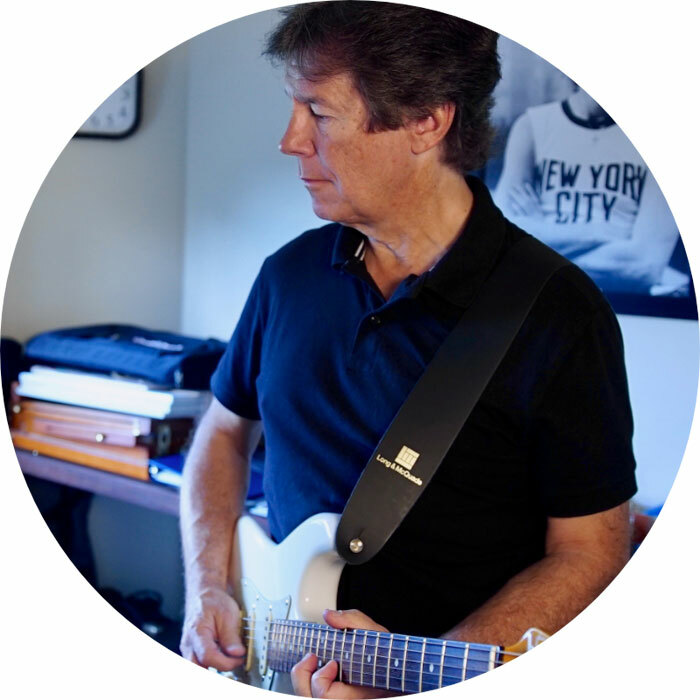 He has developed a proven formula for helping students get started on the guitar and become more complete musicians. And now, through Guitar Technique Made Easy, you’ll have the opportunity to study directly with Nate through his 26-week course while receiving his personal support every step of the way. 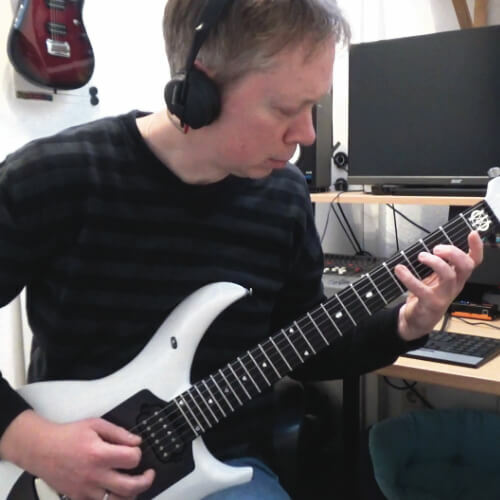 "With Guitar Technique Made Easy, it really felt like having a teacher monitoring my learning curve. I don't think you could find a better way of learning the guitar. If you have trouble with specific things, you can always ask and watch the video again and again and again. No teacher in the real world would stay so cool when being asked over and over again. I am a fan of this weekly concept. Although it is possible in theory to prepare something for myself (dividing a course into weekly sections), I would not get the same results because there is a way to cheat and go on faster or slower. Nate's time-setting is ideal." "I highly recommend Guitar Technique Made Easy. Nate is the best guitar instructor I've ever had. Just the passion that he shows and his love of the instrument -- his way of explaining things is great. I especially liked the way he started with the basic topics and then increased the difficulty levels. Also, he didn't pull any punches. Nate let the students know exactly what was expected of them and what it took for improvement on the guitar, myself included. I have absolutely no negative comments. The course was very informative and multi-topical; utilizing videos, charts, jam tracks, etc. to accelerate the learning process (can you tell I'm a teacher?!). Thank you, Nate, for giving me a new perspective on my guitar playing." "Before signing up, I was concerned about my ability to keep up with the lessons due to family and travel commitments. However, I knew that I needed to improve and the lessons every week provided the focus I was missing. I liked the fact that the lessons are recorded and were/are available whenever I had time to catch up. Also, the grading practice for beginner / intermediate / advanced players made sure I didn’t feel left out. I would recommend Guitar Technique Made Easy because there is something in it for everyone who wants to improve on the guitar. It really helped me put structure and focus around practice time to improve effectiveness." "Guitar Technique Made Easy provided structure and a well-organized curriculum. For the first time, I knew what to study and in what order. I liked having challenging yet attainable weekly goals; these provided a real sense of progress. If someone wants to learn guitar, Guitareo and Guitar Technique Made Easy are the first things I would recommend. I struggled for a couple of years learning from poorly-written books, another learning site provided by a major guitar manufacturer, and YouTube videos with little progress. The real progress I've made is directly attributable to Guitareo and GTME! 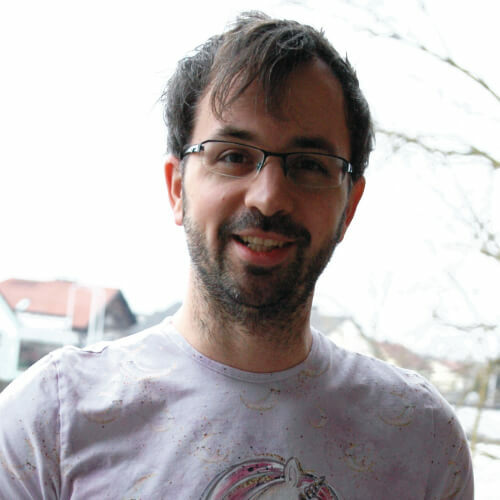 I'm currently going through GTME again at a snail’s pace to try to absorb and master as much as possible." 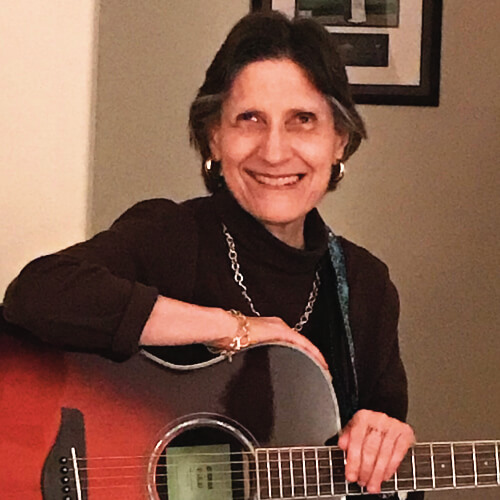 "At first, I was unsure about joining Guitar Technique Made Easy because I didn’t know if I could keep up with the course. It was a leap of faith, and worth it. As a result, I learned to let go of my perfectionism (I always got hung up on details before) and found that progress is progress! I liked that there are tasks for beginners, intermediates, and pro players in every unit, so I can revisit the course in the future and still learn something new. I'd recommend it to people who are into online teaching and struggling with how to proceed with learning." 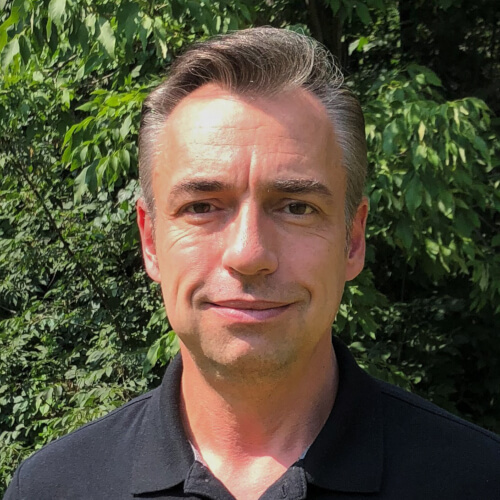 Normally, Nate Savage charges $50 for a 30-minute private lesson and is extremely selective on which students he’ll teach. With Guitar Technique Made Easy, Nate is your personal guitar coach for 26 weeks, giving you a new exclusive video lesson each week, a clear path to improve your skills, and personally answering your questions along the way -- all for just $3.73 per week. 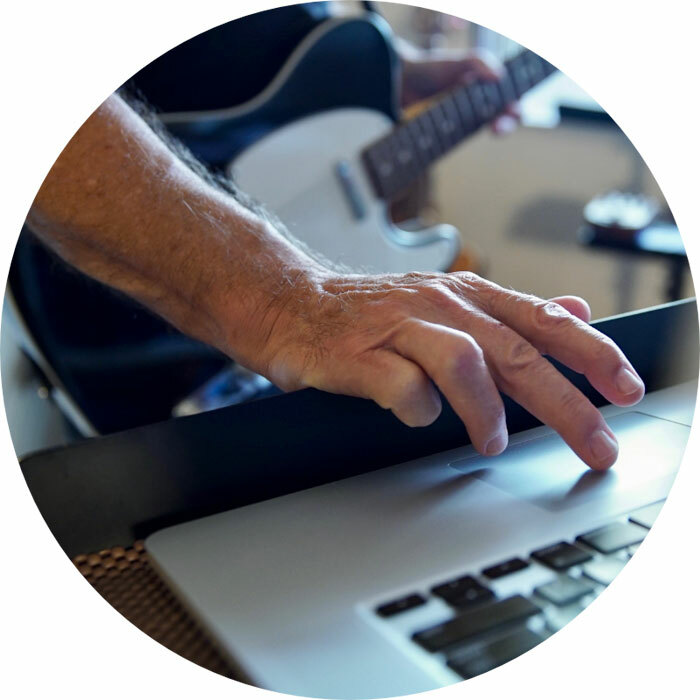 You can choose a one-time payment, a two-payment plan, or a five-payment plan -- and the entire Guitar Technique Made Easy course is yours for life with no recurring subscription or additional fees. More than anything, we want you to enjoy a super-positive learning experience. And that means we only want you to pay if you actually LOVE your Guitar Technique Made Easy experience. So get started below to try it out risk-free. 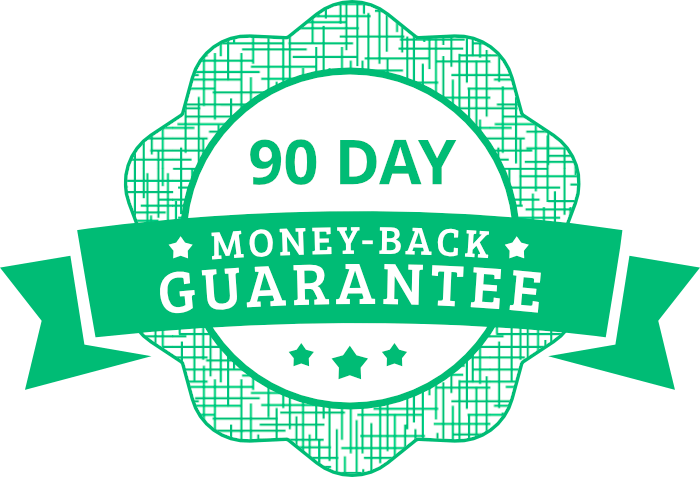 If it’s not for you, simply contact [email protected] within 90 days for a full refund. The perfect companion to Guitar Technique Made Easy! Get the ultimate guitar experience with over 1200 video lessons, weekly live lessons, and a passionate community of guitarists like you. for a one-time payment of just $97. Do these lessons work for electric and acoustic guitars? Yes, the lessons will work on either. Since you’ll be developing your guitar technique, you’ll be gaining skills that will apply to both! What’s the difference between Guitar Technique Made Easy and Guitareo? 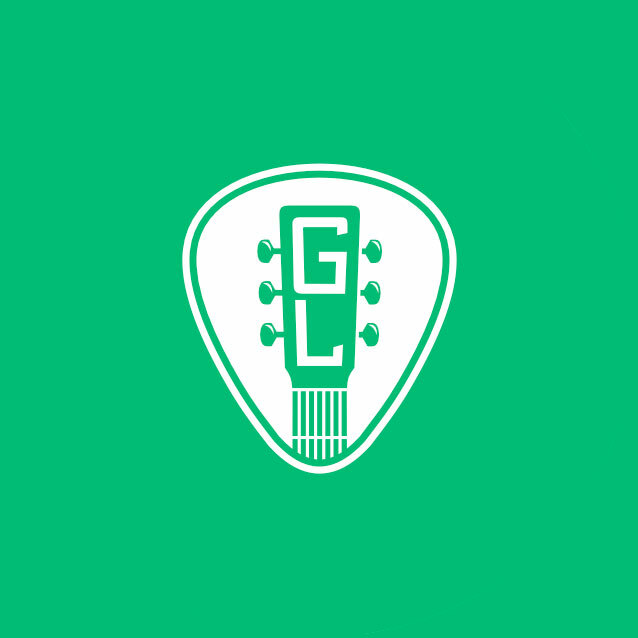 Guitareo lets you learn anything you want, whenever you want, with a massive library of lessons. But we’ve noticed that students sometimes benefit more when they are guided on a specific path - always knowing EXACTLY what to practice, when to practice, and for exactly how long. Guitar Technique Made Easy is a 26-week approach to rapidly improving your guitar technique where you’ll also have full access to Nate Savage’s personal inbox to get the feedback you need to reach your goals on the guitar. Should I use Guitar Technique Made Easy alongside Guitareo? Absolutely! Guitar Technique Made Easy isn’t intended to require 100% of your practice time. It’s a focused, dedicated plan to helping you improve your technique. But that doesn’t mean you don’t want to improve anything else during the next 26 weeks, or learn from any other instructors! We recommend both Guitar Technique Made Easy and Guitareo for a well-rounded approach to improving your skills. Can I contact Nate Savage directly whenever I have a question about this course? You sure can! For 26 weeks, Nate will be your personal guitar coach! You’ll have direct access to ask him questions along the way to make sure you achieve your goals. Yes! 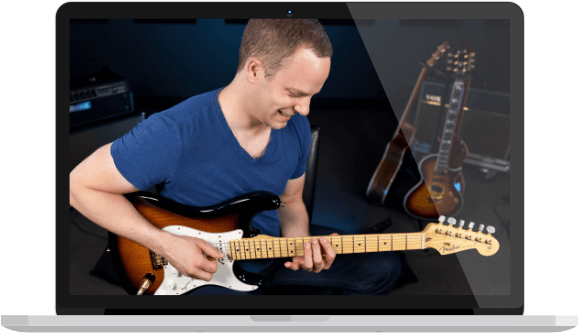 Even though it’s a week-by-week course, you’ll have LIFETIME online access to everything inside Guitar Technique Made Easy, so you can review the materials or re-watch the lessons, anytime.